Three Capital Region non-profit organizations have joined forces to share resources and serve the community in a larger capacity! 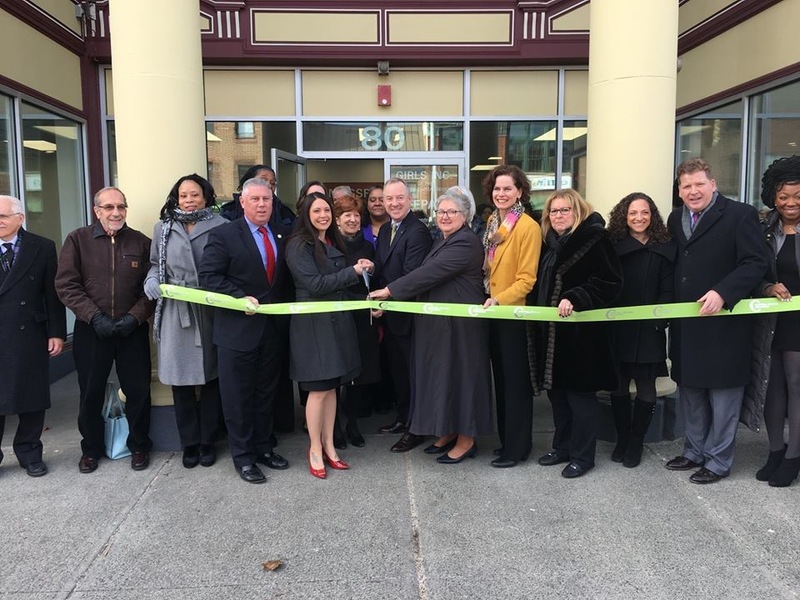 This morning, Girls Inc. of the Greater Capital Region (Girls Inc.), LifePath (formerly Senior Services of Albany), and Northeastern Association of the Blind at Albany (NABA), cut the ribbon on the newly renovated building at 80 Central Avenue in Albany. With daytime programming for seniors and after-school and evening programming for girls grades K-12, the new community center will now be fully utilized. The shared resources of the three organizations connects their missions, and provides opportunities for intergenerational and non-traditional programming that enriches the lives of children, seniors, and the visually impaired. The collaboration also advances Albany Mayor, Kathy Sheehan’s plan to reduce the number of vacant buildings in the City of Albany. A capital campaign to renovate the building began in 2017 and is ongoing. “Our tri-nonprofit collaboration has had tremendous support from Capital Region donors and philanthropists who believe in what we’re doing. Without them, none of this would be possible,” said Ashley Jeffrey Bouck.